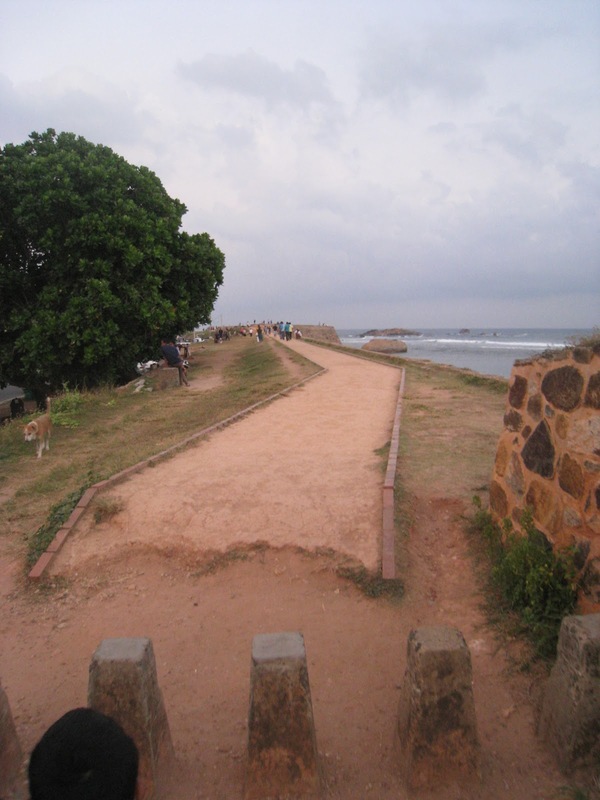 At Unawatuna, we had our first brush of unpleasantness with our tour operator. 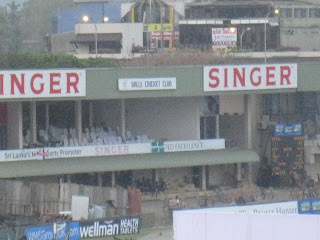 When we landed at our hotel, we learnt that our rooms had been donated away to some English people who had come down to watch the cricket match at the Galle stadium. The caretaker or manager of the hotel had the cheek to tell us that he 'thought' the English group would leave before we came but then they 'extended' their stay so we'd have to adjust with another alternative accommodation. I mean how lame! I was not against adjusting or staying elsewhere per se, had the reason been a genuine one or result of true misunderstanding. But this was outrageous. I could not help thinking had this particular group been native or maybe even some south Asians, would they have still given away an already booked room away just on some request, however genuine?? It was not as though we had made a booking at the last minute. It was done a good one month in advance. I thought only Indians were fixated with the white skin and white people and would bend their backs to please them and here it was the same. Still, we went ahead to see what other alternative arrangement the manager had intended for us. The alternate hotel/room had me even more fuming. 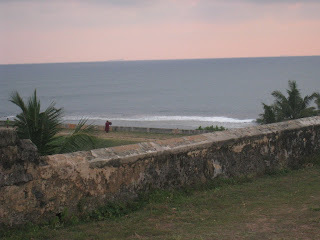 Our original intended place of stay was situated by the sea with a view opening into the sea. Although we didn't visit the rooms, we could clearly see that the trade off was not a fair one. I totally lost it and made it clear in no uncertain terms that we are unhappy with the alternate arrangement and they (the manager) cannot expect us to play into his hands. That guy seemed quite unruffled and took us to another place. Clearly he had planned his moves well. Thankfully for him and the rest of us, we liked this one. And, know what, this hotel was just adjacent to our original hotel! That bugger was just testing our threshold levels! I don't really blame the tour operator here for it was evident that the hotel manager had been working on a sly perhaps in lieu of some commission. Anyway, we put the incident behind us and didn't let it colour our mind against our guide/tour operator. There was no point anyway in ingesting bitter pills in an another-wise sweet experience during the last leg of our tour. 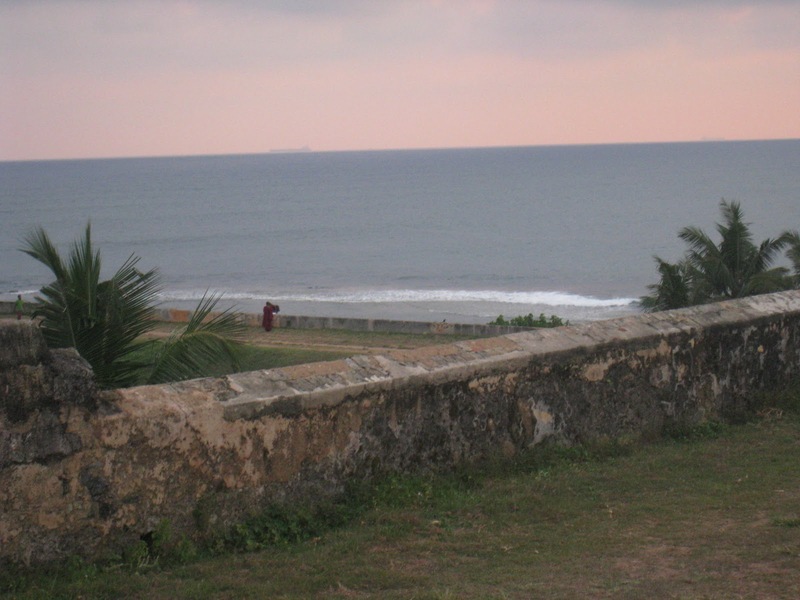 It was getting closer to sunset time and Mr. Shirley was of the opinion that it would be a good idea to see the sunset from the Galle fort. 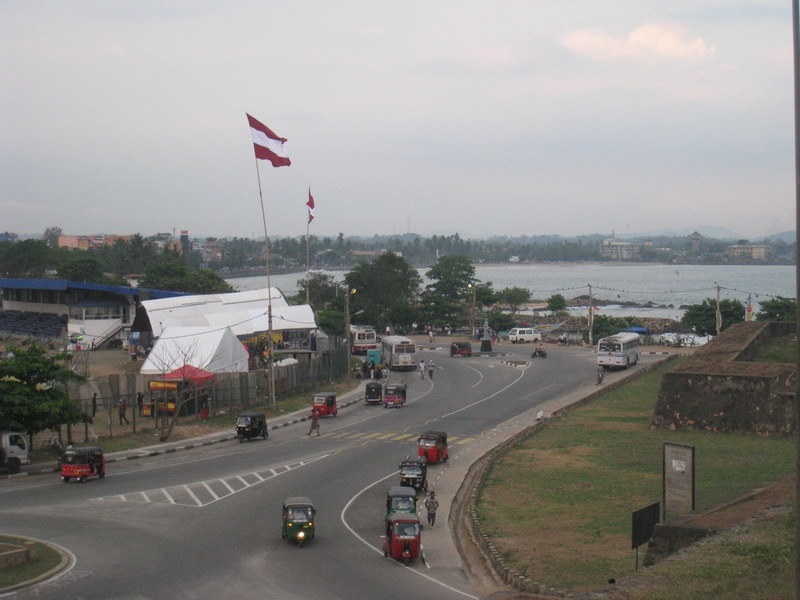 So, we rushed to the fort. 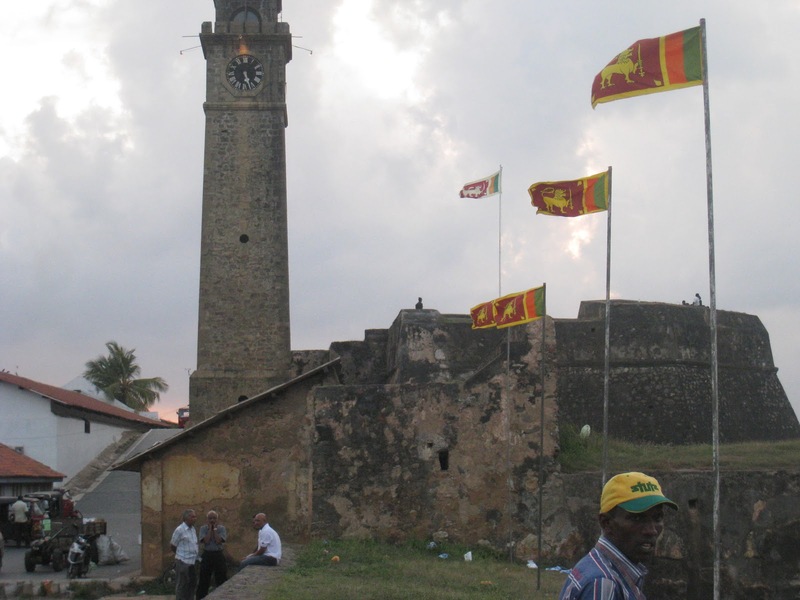 The Galle fort, also known as the Dutch fort is one of the World heritage sites as recognised by UNESCO. The fort also faces the Galle Cricket Stadium on one side. 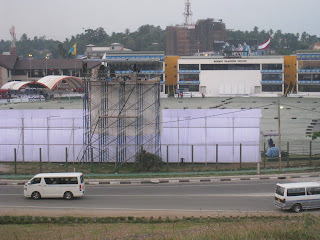 We took pictures of the stadium from a vantage point. Cricket crazy fans throng the fort and sit on the wall ledges to catch the match playing at the stadium. We walked around the fort, clicked snaps of the sun setting and when it turned dark, strolled up to the light house where Mr. Shirley was waiting for us in the car. The shameless, thick-skinned tour operator is only a model representative of deceit and brinkmanship we are witnessing all around in our country; only more so on tourist places. I can recount a similar affliction but that's besides the point. 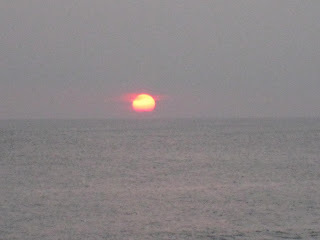 It was great that you were able to enjoy the historic place and the sunset despite all that. I am inclined to think that the hotel manager operated on a sly without the knowledge of the tour operator. And since our rest of the trip was good, I felt we must give the operator the benefit of doubt. Welcome here and thank you so much for taking the time to read and comment :-)Hope to see you around. I'd have too some years ago..but I have learnt my lessons and am happy to discover a new me in me in this respect. 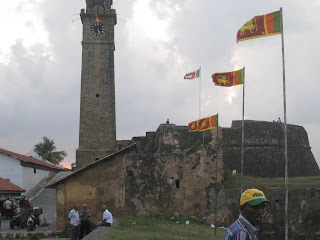 Oooh, more pics of the fort please! 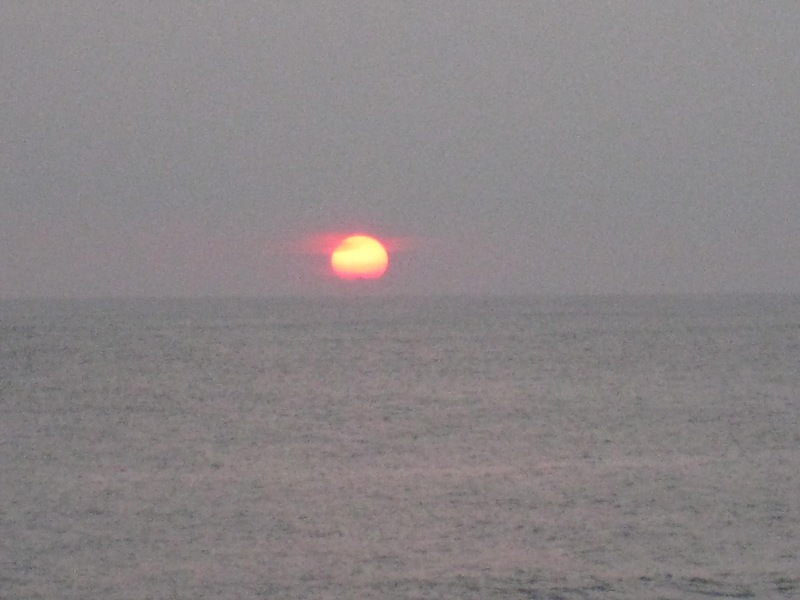 The sun setting over the sea looks awesome. Glad you stood your ground with the hotel guy. If possible, do post good and bad reviews on tripadvisor - it really helps! yeah, have been meaning to do a review on tripadvisor. Hope the hotel manager learnt a lesson... No one should mess with Indians over ppl with white skin! !